P.ANGELIDES & CO LLC | 1st in Cyprus Pavlos Agelides & Co LLC ,Law Firm in Cyprus Nicosia - Trademarks - Patents - Intellectual Property- Trade names. Pavlos Agelides Provides legal services to domestic and international clients. Cyprus is a strategic gateway to serve clients doing business in both Middle East and South East Europe. Our top objective is to create partnerships that provide clients with peace of mind through professional service and ardent representation. For over 40 years we have served our clients with undeviating loyalty and devotion. We are not satisfied until you are. Committed to helping our clients succeed with local expertise and international depth. Incorporation of companies, corporate management, mergers and acquisitions, takeovers, buy-outs, group formation and group restructuring involving complex and multinational negotiations. All areas of general, commercial, administrative, civil, family and criminal law are handled by our litigation and arbitration team. Where appropriate, we seek in the first instance to constructively mediate to avoid lengthy and costly court action. Our extensive experience covers activities in a wide range of business disciplines including Double taxation treaties, International Tax Structures and Tax Disputes throughout jurisdictions in order to meet our clients’ needs as they move their companies into Cyprus and other jurisdictions. Registration, acquisition and protection of IP (trademarks, patents, industrial designs and copyright), licensing, franchising and passing off cases. Citizenship applications, permanent residence, employment and immigration permits and visas. Collisions, charterparty disputes, registration and execution of judgements internationally, registration of vessels under all flags, ship finance and taxation. 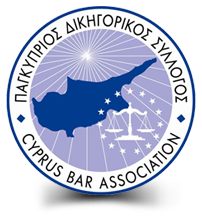 The Law Firm of P. Angelides & Co LLC has been providing quality legal services in Cyprus and Internationally for many years. The lawyers of our firm are capable of handling cases from all areas of the law. This grants us the advantage to provide quality legal services in many areas of practice. We hope you will meet our highly capable and experienced legal team and allow us to work together for your interest. Confronting the legal system in a certain country alone can be bewildering, to say the least. You need a law expert on your side that can help ensure that your rights are not being overlooked or even disregarded and that your welfare is not being compromised. You need a lawyer whose only purpose is to help you win your case. With years of experience on our record, we are fully qualified to help you address your legal interests and burden. We encourage you to contact us, as soon as possible to line up a consultation with a lawyer at our office. We can meet in person, through email or over the phone to discuss the details of your case and to initiate the most efficient strategy and the best course of action for your case. The Founder of our firm Mr Pavlos Angelides started practising law and established his first law firm. We have added 10 new people in our team to follow up with the expansion of our client base. We have moved to our new offices in Nicosia. Want to be an intern with us? P. Angelides & Co LLC is a general law firm that handles litigation in all areas of the law. We also specialize in Corporate and Intellectual Property services to domestic and international clients. Our experience, professional competence and education allows us to provide our clients with the whole range of services that might be requested by them.